It has only been a few days since Samsung unveiled the Galaxy A8 and Galaxy A8+ (2018). We’ve already confirmed the price tags for these new premium mid-range handsets. Samsung has now revealed when the devices are going to be released. Pricing and availability will vary by market. Samsung has only confirmed the Galaxy A8 and Galaxy A8+ (2018) release date for Vietnam at this point in time. We’ve previously reported that the Galaxy A8 is going to cost €499 and the Galaxy A8+ (2018) is going to cost €599. These are the price tags for Europe. The handset is going to be similarly priced in other markets across the globe. 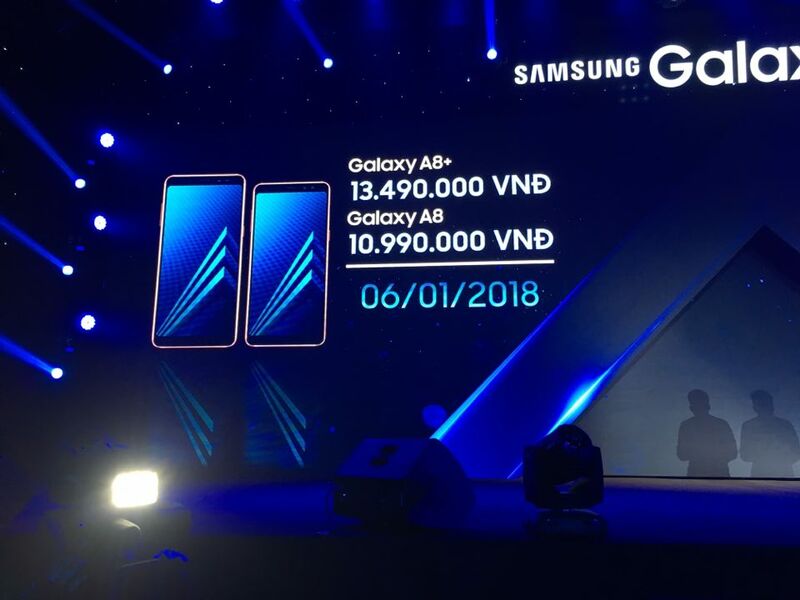 At the launch event for these handsets in Vietnam, Samsung confirmed that the Galaxy A8 and Galaxy A8+ (2018) will cost 10,990,000VND ($483) and 13,490,000VND ($593) respectively. The company has started taking pre-orders for the handset from customers in Vietnam. It confirmed at the event that the Galaxy A8 and Galaxy A8+ (2018) will be released in the country on January 6, 2018. Samsung’s regional arms should start confirming the pricing and availability information for their respective markets in the near future. We can expect the handset to be out in several markets across the globe in January.